The Aura-MLS observations of eight years from 2004 to 2011 have been utilized to understand the hydration and the dehydration mechanism over the northern and the southern hemispheric monsoon (NH and SH) regions. The monsoon regions considered are the Asian Summer Monsoon, East Asian Summer Monsoon, Arizona Monsoon (AM), North African Monsoon, South American Monsoon and the Australian Monsoon. The annual cycle of water vapor as expected shows maxima over the NH during June–August and during December–February over the SH. The time taken by the air parcels over the NH monsoon regions is found to be different compared to that over the SH monsoon regions. The analysis shows the concentration of water vapor in the upper troposphere and the lower stratosphere (UTLS) has not changed over these eight years in both the hemispheres during their respective monsoon seasons. The present analysis show different processes viz., direct overshooting convection, horizontal advection, temperature and cirrus clouds in influencing the distribution of water vapor to the UTLS over these different monsoon regions. Analysis of the UTLS water vapor with temperature and ice water content shows that the AM is hydrating the stratosphere compared to all the other monsoon regions where the water vapor is getting dehydrated. 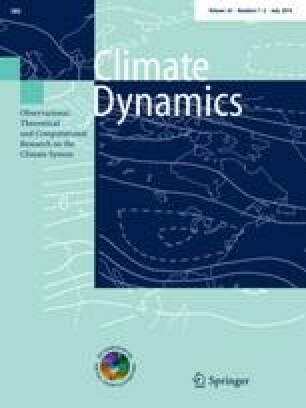 Thus it is envisaged that the present results will have important implications in understanding the exchange processes across the tropopause over the different monsoon regions and its role in stratosphere chemistry. The Aura-MLS data are downloaded from the Goddard Earth Sciences Data and Information Services Centre, the ERA-Interim from the ECMWF and the gridded OLR from the NOAA‐CIRES. The authors are thankful to the Director, SPL/VSSC for his constant support. Finally, the author would like to thank the Editor and the two anonymous reviewers for their constructive comments and suggestions which improve the manuscript greatly.